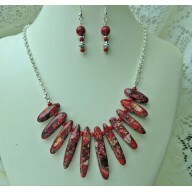 Red Sead Sedment Jasper Necklace These beautiful red sediment jasper beads are so be..
Red Sea Sediment Jasper Earrings These earrings are the perfect match to the necklace.&nb..
Purple Sea Sediment Jasper Necklace These beautiful purple sediment jasper beads are ..
Lapis Sea Sediment Jasper Necklace These beautiful blue lapis sediment jasper bea..
Lapis Sea Sediment Jasper Earrings These earrings are the perfect match to the necklace. 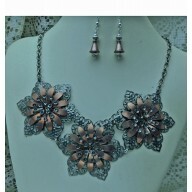 ..
Copper and Antique Silver Flower Necklace This unusual necklace is a one of a kind. 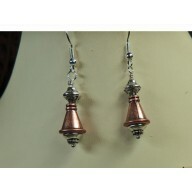 The necklace ..
Copper Cone Earrings These earrings are the perfect match to the necklace. 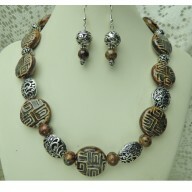 The copper con..
Brown and Silver Necklace This unique necklace of handmade brown decorated ceramic beads and si..
Brown and Silver Earrings These earrings are the perfect match to the necklace. 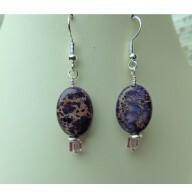 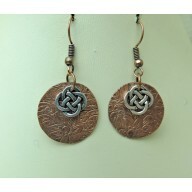 I used th..
Copper Earrings These earrings are the perfect match to the necklace. 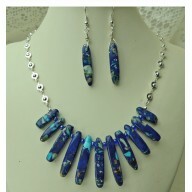 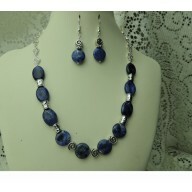 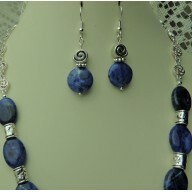 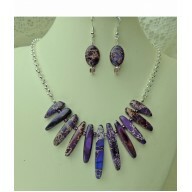 The copper earrings..
Lapis Necklace The colors in this necklace are so beautiful, the lapis is outstanding.&..
Lapis Earrings These earrings are made with 16mm lapis round stones and on top of this ..
Black Onyx Tube Necklace Beautiful black onyx makes this necklace stand out. 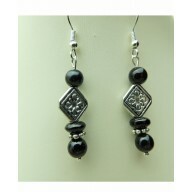 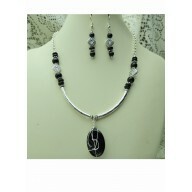 I us..
Black Onyx Earrings What a perfect match to the necklace. 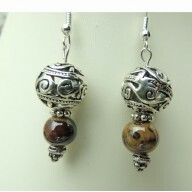 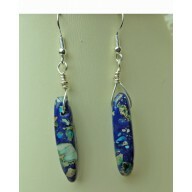 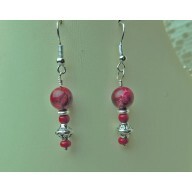 These earrings are m..